EDC uses advanced data acquisition instrumentation to measure both static and dynamic strains across a wide range of industries and service conditions. EDC has the resources to measure signals even in the most hazardous of environments. If you think it can't be measured, chances are, it can! Our extensive experience ensures that accurate data is always obtained. Telemetry instrumentation for measurement of strain on shafts or mobile equipment. Multi-channel (up to 56) high speed radio transmitters for strain measurement. Installation and monitoring of high temperature weldable strain gauges on a kiln, blast furnace and continuous metal casting machine. Multi-channel strain gauge installation and measurement on many Ball/SAG mills through telemetry instrumentation. 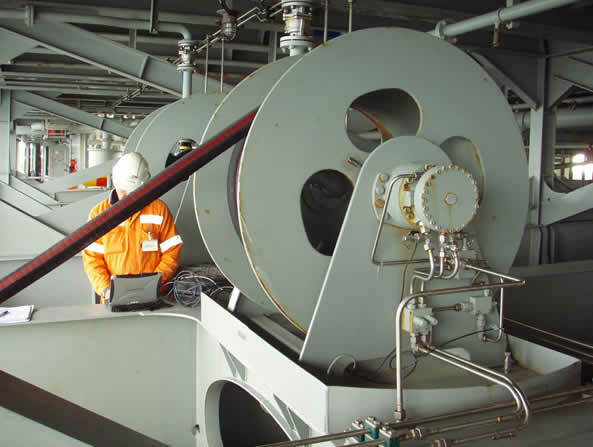 Similar multi-channel strain gauge installation and measurement on a reclaimer bucketwheel monitoring dynamic strains during normal operation, using radio telemetry instrumentation. Duty cycle monitoring of strains on mobile equipment using radio telemetry and datalogging instrumentation. Shaft torque strain monitoring on numerous mining/marine shafts and fans. Underwater strain measurement on the keel of a high-speed catamaran vessel and on the blades of an agitator. Simultaneous strain measurement of in excess of 80 channels of dynamic strain. Residual stress measurements on highly loaded structures. Much of EDC's work involves detailed fatigue analysis, typically of welded steel structures. Through measured strain time history data and analysis, the remaining/consumed fatigue life of a machine or structure can be predicted. 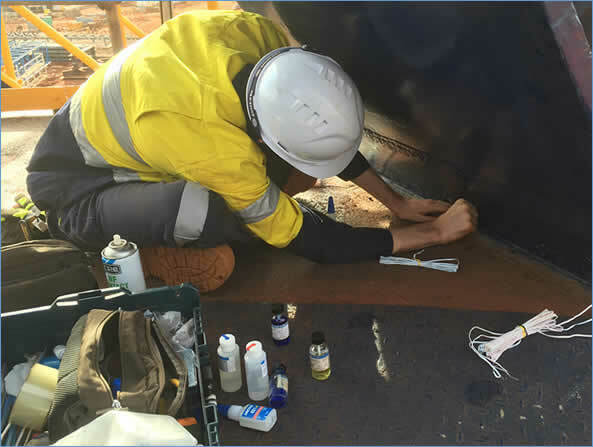 Typically, a fatigue analysis would be conducted in accordance with the requirements of fatigue standards, British Standard BS 7608 or associated aspects of the Australian Standard, AS 4100.